The FARO 8-Axis Quantum FaroArm is reported to enable up to a 40 percent reduction in the time it takes to measure parts and assemblies. PRNewswire photo. LAKE MARY, Fla.—A new 3D measurement system from FARO® makes it easier to scan and measure typically harder-to-reach areas while also reducing measurement time and human measurement error, according to a release from the manufacturer. FARO said its new product drives the industry forward as it combines either the portable Quantum FaroArm®, Quantum ScanArm (https://www.faro.com/faroarm), or Design ScanArm® (https://www.faro.com/dsa) portfolio products with a functionally integrated, yet physically separate, 8th axis. The 8th axis is a complete rotational axis that is identical to—and a natural extension of—all FaroArm products. It plugs directly into the FaroArm and requires no additional setup time or effort. Unlike a turntable, the 8th axis is completely transparent to the measurement software, so no software updates or upgrades are needed. 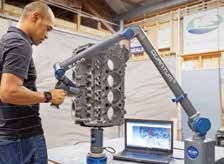 The 8-Axis system enables a part to be rotated in real time relative to the Arm, versus requiring the Arm to be moved around the part. 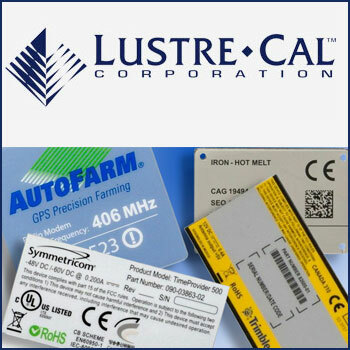 This not only makes it easier to scan and measure typically harder-to-reach areas; it also reduces measurement time and human measurement error because the part itself rests on a stable, consistent platform. The extended reach of the system allows the user to scan, measure, and digitize features on small and large parts with a single Arm position. As a result, this process is reported to be up to 40 percent faster relative to a standard 7-Axis Arm system. FARO (www.Faro.com) said the 8-Axis system is well-suited for addressing a range of non-contact measurement and design challenges, including point cloud comparison with CAD, rapid prototyping, reverse engineering, and 3D modeling of free-form surfaces.